This summer I spent some time in one of my favorite areas of Rocky Mountain National Park - from Two Rivers Lake to Odessa Lake. Although only about a mile or so in distance, this area has three lakes, two major creeks, waterfalls and tarns and or course terrifically unique mountain peaks rising above it all. Although I'm not quite sure how it happened, Notchtop Mountain seemed to find it's way into each of my favorite images. 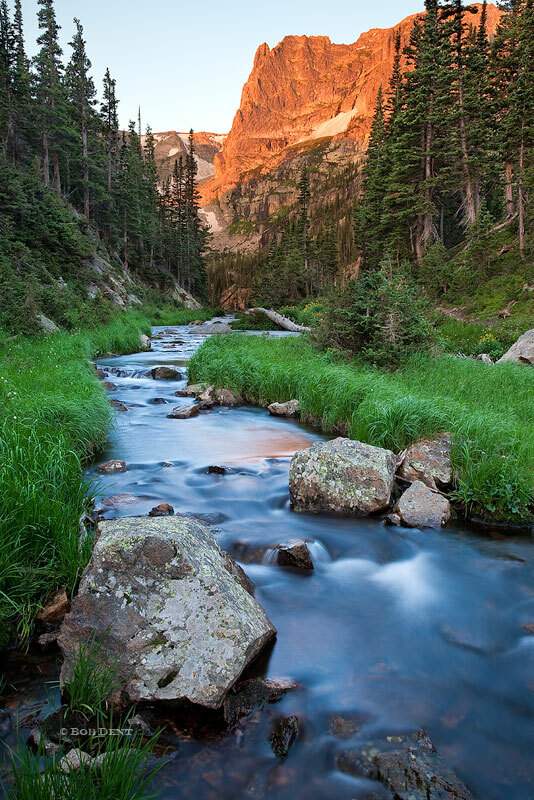 Alpenglow lights up Notchtop Mountain near Lake Odessa, Rocky Mountain National Park, Colorado. Photo © copyright by Bob Dent. 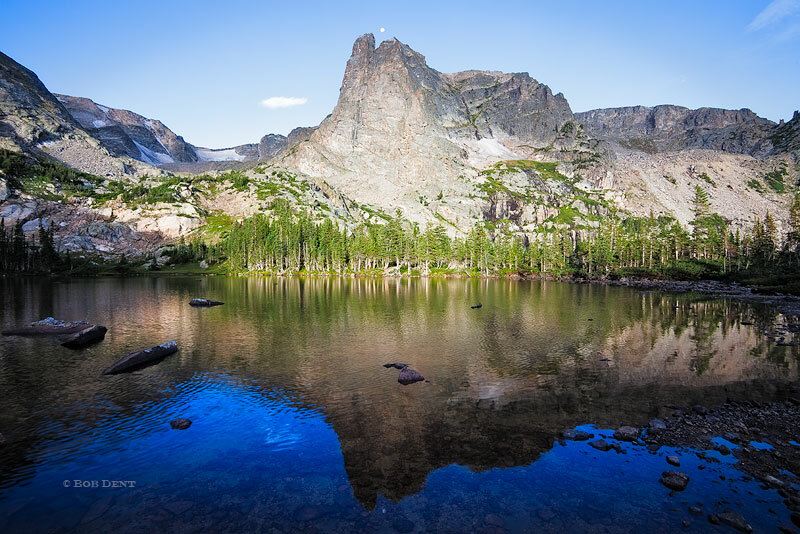 The moon descends over Notchtop Mountain in morning light, Lake Helene, Rocky Mountain National Park, Colorado. Photo © copyright by Bob Dent. 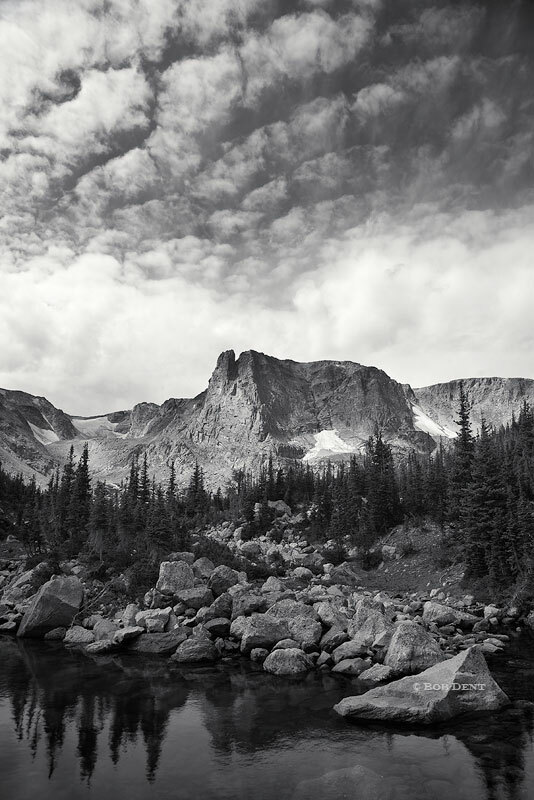 Clouds rising above Notchtop Mountain along Mill Creek, Rocky Mountain National Park, Colorado. Photo © copyright by Bob Dent. 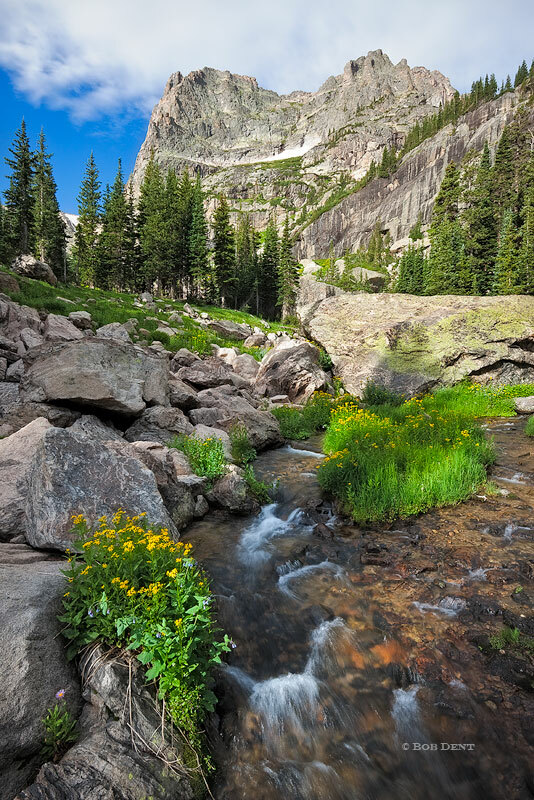 Summers morning view of Notchtop Mountain, Rocky Mountain National Park, Colorado. Photo © copyright by Bob Dent. 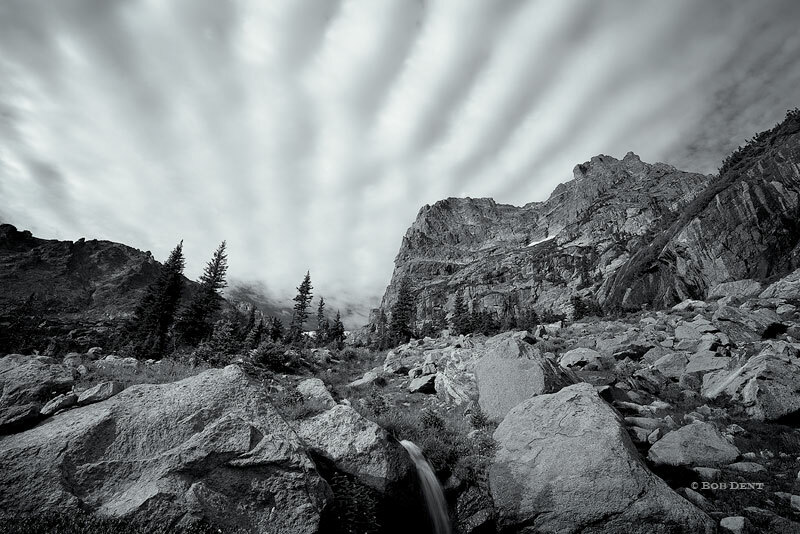 Clouds fan across the sky above Notchtop Mountain, Rocky Mountain National Park, Colorado. Photo © copyright by Bob Dent.